This vow renewal was a surprise for the gentlemen’s wives. The guys arranged ahead time with the resort to have a double vow renewal while they were in Hawaii. 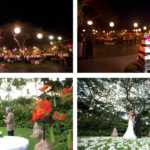 The renewal took place at the wedding tree at the Four Seasons Resort Hualalai. 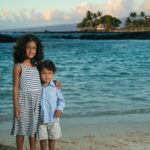 We did portraits at the wedding tree and then down at the beach just below. 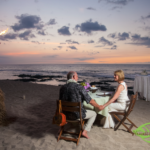 The couples had a private dinner at North Beach while the sun was setting.